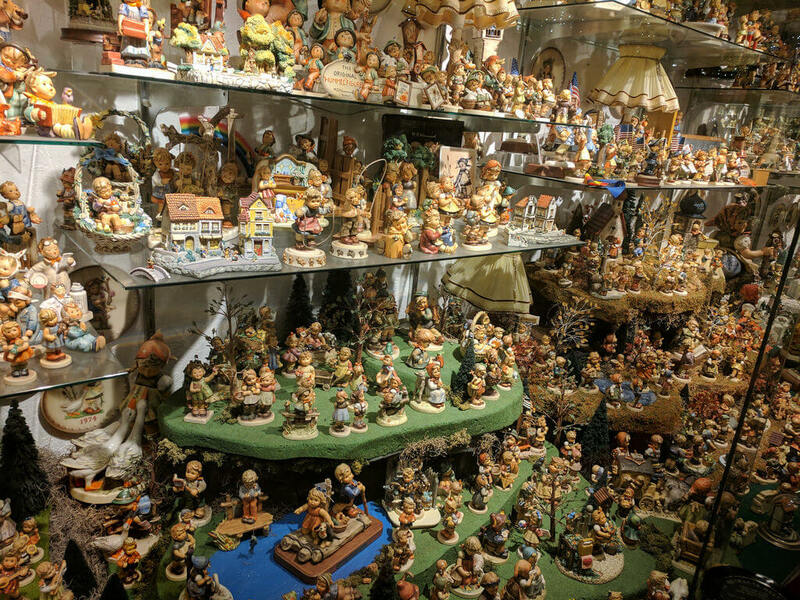 Looking for the most valuable porcelain figurines at estate sales! The price of most Hummel figurines ranges from $40-$100. But then there are those rare ones which can fetch up to $500-$10,000. At estate sales, the common price of Hummel Figurines is from a dollar to $10. 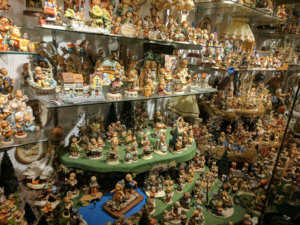 Albeit if you know what kind of Hummel figurines you are looking for, chances are you might end up getting a rare one. Sure, the use of fine china may be getting lesser with every passing day. Since it is expensive when you buy it at the market, it cannot be put in the microwave because of reasons, nor can you place it in the dishwasher, because well- you might end up breaking something. And no one wants to break a dinner plate that costs around $30. But the thing about estate sales, you might end up buying things at a much lesser price that you would imagine. 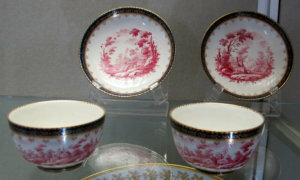 Most estate sales have beautifully hand-painted porcelain dinnerware which could make you profitable. 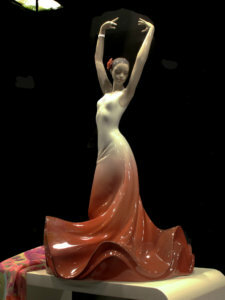 Lladro, based in Valencia, Spain, produces magnificent porcelain figurines. The company was founded in 1953, by three brothers who started out by producing jugs and vases. The love for the figurines grew stronger every day. After a few years, they also started to make figurines and sculptures. Today, the figurines can be sold at prices ranging from $30 to a magnificent $3,200. One of the most expensive Lladro piece ever, was sold at $35,000. It wasn’t even that old. It was made in 2002, one of many pieces in a limited series. The name of the piece was A Grand Adventure. 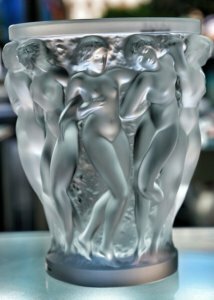 The Lalique factory was built in 1921 by Rene Lalique. Each year, the team creates radiant pieces inspired by the things very dear to the founder himself: women, flora and fauna. Such craftsmanship has never been seen elsewhere. To make a single piece, sometimes the amount of steps required could reach up to 40. The beautiful set pieces including vases and figurines can sell up to $7,600. Established back in 1735, Doccia Porcelain factory still produces albeit with a different name: Richard Ginori. Back in 2011, it set a new record when a Doccia Hercules Porcelain was auctioned at £657,250. The company was established in Germany in the 1700’s. 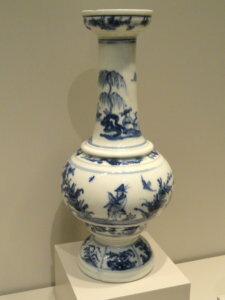 It was the first manufacturer in Europe to discover Chinese Porcelain. It is known for the quality it uses to make its items and it is extremely valuable. In the 17th century, costumes were made out of Meissen. There are two ways to locate for an original Meissen: Check the tag for its logo, crossed swords or check the letters KPM, MPM or KPF which were used before the logo up until 1722. If you have a tea set given to you by your great great grandfather of Meissen, then congratulations. It can sell for thousands of dollars! Royal Doulton is an English ceramic company manufacturing tableware and collectibles. It was founded in 1815. Apart from tableware and collectibles, it also produced figurines. Though not as high priced as Meissen or Llardo, Royal Doulton can still sell for a handsome amount. 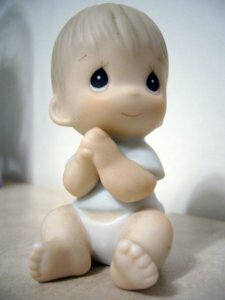 Precious Moments figurines are known for their adorableness. Now a days there has been a need for classic Precious Moments memorabilia, one especially could be worth hundreds or even thousands of dollars. It is called ‘God Loveth a Cheerful Giver’. It is a porcelain sculpture. It was released in 1979, as one of the original 21 set pieces. The piece contains a cute girl giving away puppies. The original retail price was $15. But today it can sell for hundreds of dollars. Such figurines was sold for $188 on eBay and another for $250. It might seem surprising, but Animal Figurines can sell up to $1500 as well. And that’s just particular type of figurine. One of the most expensive sets of porcelain animals were sold in New York. It contained two porcelain pugs and it were sold for $47,500.